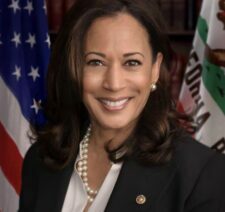 Senator Kamala Harris (D-California) announced today that she will seek the Democratic nomination for president. Harris made the announcement live on ABC’s’ Good Morning America and in a video featured on her website. She becomes the fourth Democratic woman to announce her intentions for president and Harris has refused to accept donations from corporate PACs. For more on her announcement, click the links below.